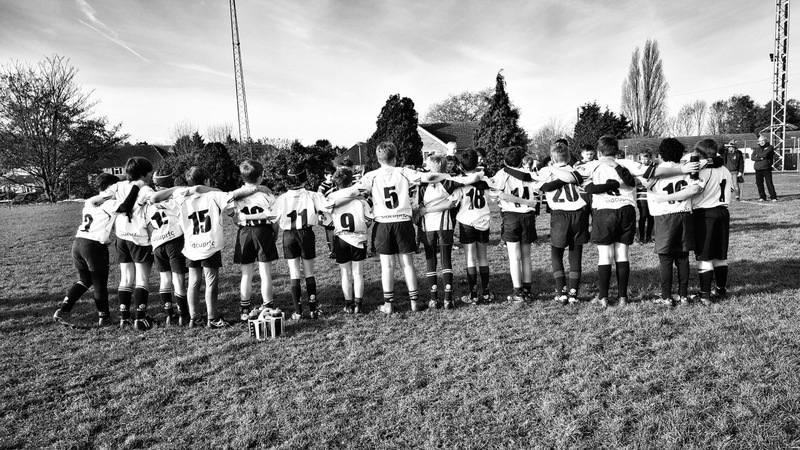 Sidcup U13’s travelled to Westcombe Park on a dull damp morning. Having had little time to warm up , the referee informed us he wanted a prompt 1030 kick off to avoid the incoming bad weather. Today’s team was a mixture of experienced players and inexperienced. The game kicked off to heavy pressure from Combe and a lack of communication saw Sidcup go a try down in the first few minutes. But it was nothing more than communication and positional awareness and Sidcup quickly re grouped. The first half really saw Sidcup grow into the game, it was nice to see the old heads throwing out advice, which was well received by the inexperienced players. With the momentum going in Sidcups favour the first half ended 3v3. So, half time talk. The coaches advice to become more vocal and to support the ball carrier, to have belief in your abilities was totally taken on board. The Sidcup forwards totally bossed the scrum, driving Combe backwards at every opportunity. Lung bursting runs with great support, there was always a Sidcup player quick to the breakdown, the back line of Sam Brown, Joe, Elliot, Nelson, Harry and Lewis showed some of the best passing I’ve seen in a long time. Joe producing a fantastic pitch length run, Nelson using his strength and pace to score several try’s. He even stopped on one occasion to make sure he was allowed to run, then scored a try. Harry B on the wing scoring his first try with a lovely run along the touch line. Had it not been for a few handling errors on the line, Sidcup could’ve had 3 more. The way the forwards and backs gelled together in the 2nd half was perfect. Big drives from the pack, Sam Brown spinning the ball out to a back line that showed creativity and imagination was a joy to watch. Every player made crunch tackles , Tommy in particular with what was ruled to be a dump tackle but what was actually a one of the finest tackles you’ll see. This was a TEAM performance and a result that every player thoroughly deserved.